We have now updated http://openvce.net/moodle from Moodle 1.9 to Moodle 2.2 since the appropriate up to date PHP version is available on the Linux server used for the site. The site is currently set for manual user registration as it is for experimentation only and not to be used for production teaching. Ask me if you would like experimental access for University of Edinburgh or OpenVCE.net projects. The University of Edinburgh runs a separate and maintained Moodle service on http://www.moodle.is.ed.ac.uk/ which is initially for distance education course use. The temporary Moodle 2.2 experimental area on http://virtual2.aiai.ed.ac.uk/moodle is now being tidied up and work by students moved to http://openvce.net/moodle prior to it being turned off. 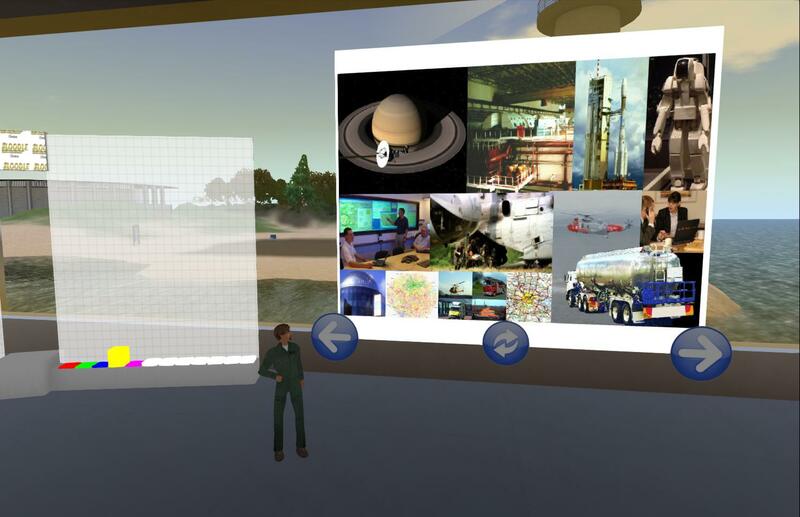 With the help of Edmund Earp (the virtual world avatar of Edmund Edgar – a SLoodle developer), the SLoodle 2.1 beta test module for linking Moodle with Second Life or OpenSim has been installed. 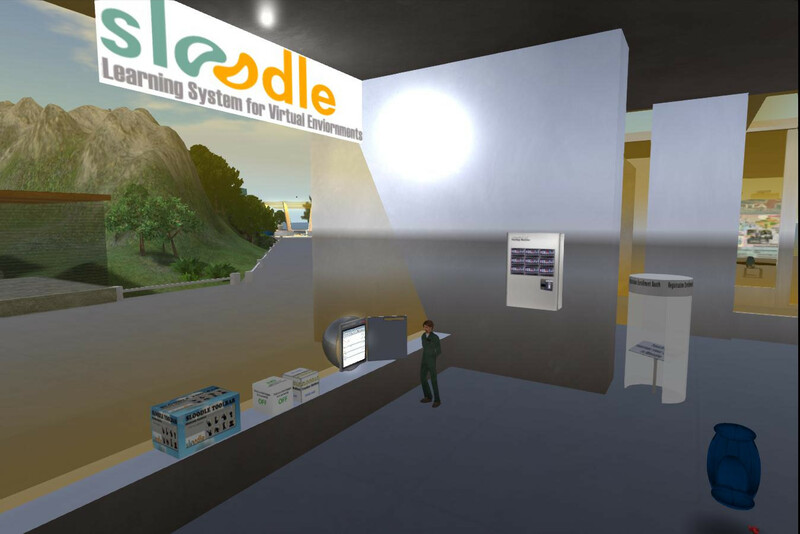 A SLoodle Controller can be added to any course on http://openvce.net/moodle, following which a “rezzer” can be placed in the virtual world to link to the Moodle VLE and the SLoodle module controller within a course. The current version of the Second Life SLoodle rezzer is available at http://maps.secondlife.com/secondlife/English%20Village/141/126/22. This then provides the ability to add and place SLoodle objects in a classroom “scene” which can be saved and restored on need. Test objects for a Presenter screen, a choice maker, tracker, web intercom to link in world text chat to Moodle text chat for the course, a dispenser for a classroom gesture HUD (raised hand, seek attention, etc), a dispenser of classroom items, a zone for login as you enter the classroom, and an avatar UUID registration booth are in place in the VCE region SLoodle classroom at http://maps.secondlife.com/secondlife/VCE/216/220/23. The OpenVCE Event “course” on http://openvce.net/moodle provides a test environment for the SLoodle classroom in our setup. It may be used in the forthcoming AI Planning MOOC. This entry was posted in Moodle, OpenSim, OpenVCE, Second Life, SLoodle and tagged Moodle, OpenSim, OpenVCE, Second Life, SLoodle. Bookmark the permalink.